Product categories of Roller Type Juice Making Machine, we are specialized manufacturers from China, Roller Type Juice Making Machine, Grapefruit Juice Making Machine suppliers/factory, wholesale high-quality products of Lemon Juice Machine R & D and manufacturing, we have the perfect after-sales service and technical support. Look forward to your cooperation! 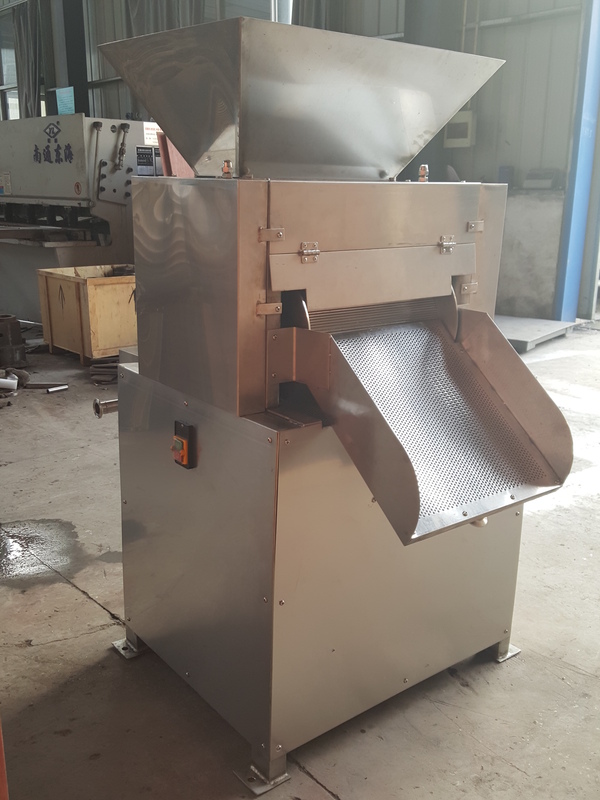 This machine no need to grade, no need to peel, directly put the raw material into the machine and then you will got the juice. Mainly apply to cumquat, lemon and grapefruit. The machine mainly have 3pairs rollers, feeding hole, juice bucket, peel bucket, frame, transmission and other parts. When the machine contact with power, put the raw material into the feeding hole, firstly through the first and second roller to crush and then go to the first and third roller to extrude the juice. Finally the peel out from the feel bucket, juice and part fruit pulp from the juice bucket! Copyright © 2019 Zhengzhou Solon Import & Export Trading Co., Ltd All rights reserved.